Huong Khach Restaurant is a vegetarian restaurant in Da Nang focusing on delicious dishes made from fresh and safe ingredients with the beautiful presentation. 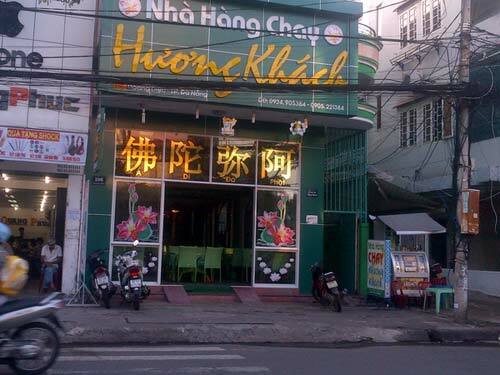 Why Huong Khach Restaurant is special ? 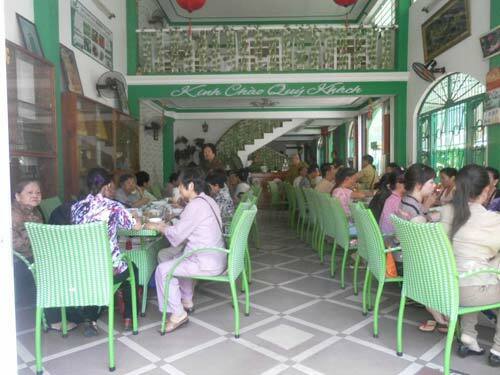 Huong Khach Vegetarian Restaurant is located at 106 Hoang Dieu Street, Da Nang. This restaurant has a varified menu of over 200 dishes made from fresh vegetable ingredients. 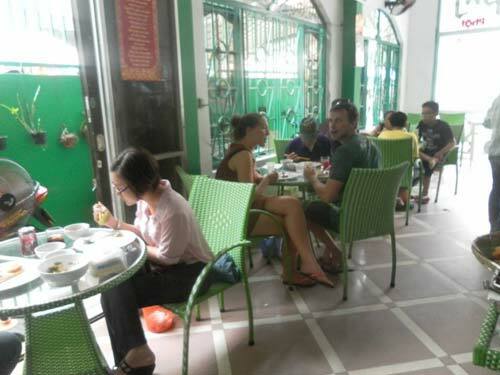 The dishes are offered at prices ranging between 30,000 VND and 50,000 VND each. Entering the restaurant, you can feel the calm ambience and enjoy a quiet dinner or lunch with tasty vegetarian dishes. If you are a vegan or not, Huong Khach restaurant is well worth a try. How to get to Huong Khach Restaurant? The best way to get Huong Khach is by taxi or motorbike. It takes 11 mins driving from Da Nang International Airport and 7 mins from Da Nang Railway Station. The staff is not really good at English so you can see the picture and pick up food. There are 2 floors so you can choose where to eat. Like other restaurants in Viet Nam, you need to pay for wet tissues if you use them. Price is cheap and good for a dinner. Found this little vegetarian restaurant whilst on a stop over in Da Nang. Attentative staff and interesting options. Good value and certainly a change from pho even for non vegetarians like me.